Everything about IT: Analyze IBM i Communication Trace with Wireshark. Analyze IBM i Communication Trace with Wireshark. One of the most valuable tools to solve problems in networks is the communication trace. Fortunately IBM i has a very powerful trace tool built in the core os, so if you want to trace your network traffic to and from your IBM i you do not need the network guy to implement port mirroring or other network analyzing techniques. But the weak point of the comm trace tool is, that the generated reports are not very easy to view and are a little bit confusing. Replace "ETHLINE" with the name of the Network line which you want to trace. If you get the error CPF39A6 you can either reduce the MAXSTG parameter or create a bigger comm trace area in the system service programs. 3. End the communication trace. Replace "ETHLINE" with the name of the Network line which you want to trace and the TOSTMF Parameter with the path in the IFS where you want to export your comm trace. The IFS path should be available as Windows share to clients over Netserver. 5. 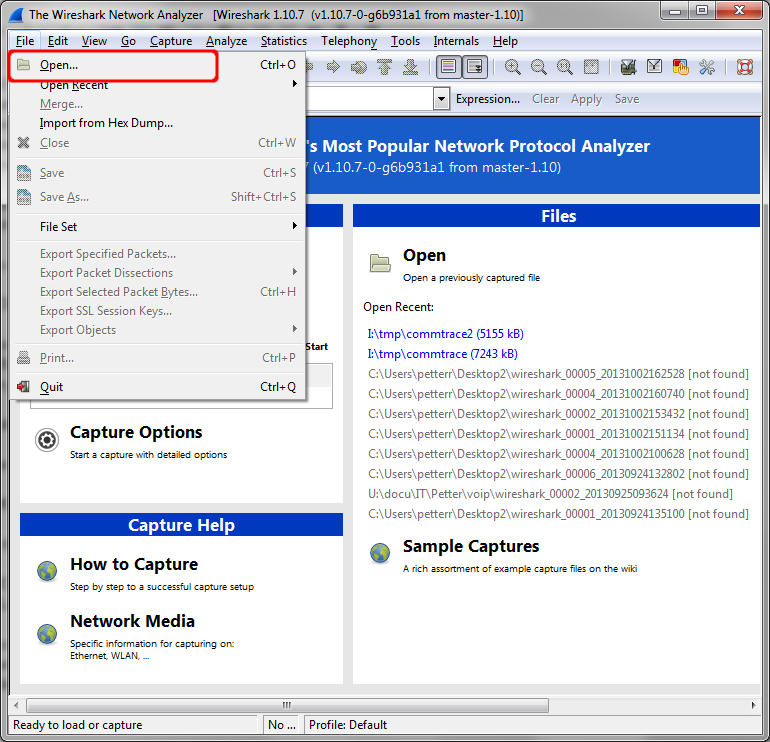 Open Wireshark and choose the option to open the previous captured file from the IFS. Now you can filter and analyze your problem with the most advanced open source network analyzer available.